The Rashtriya Swayamsevak Sangh Chief answered all questions but one on the final day of his lectures. 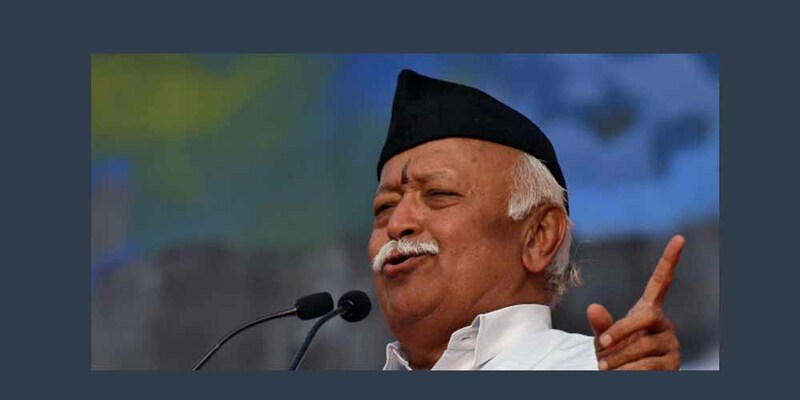 NEW DELHI — On the third and final day of his lecture series, Rashtriya Swayamsevak Sangh (RSS) chief Mohan Bhagwat responded to questions ranging from the construction of the Ram Temple and the RSS's relationship with the Bharatiya Janata Party (BJP) to its stand on homosexuality. Of the 22 questions posed to him in the packed plenary hall of Vigyan Bhawan on Wednesday, there was only one that Bhagwat avoided: what is the RSS stand on inter-faith marriage. The question of marriage was in the first set of questions posed to Bhagwat: how does the RSS feel about inter-dining and inter-marriage, what does the RSS think about inter-caste and inter-faith marriage, is it possible to eliminate caste from Hindu society?